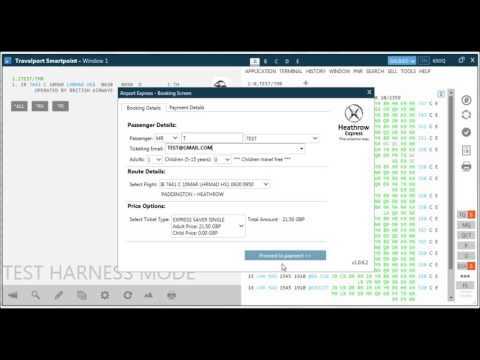 Airport Express provides bookable rail content for airport connections from within Travelport Smartpoint. The Airport Express plugin for Travelport Smartpoint allows agencies to book airport express services directly within Travelport Smartpoint. It provides agents with fully integrated point-to-point airport express shopping and payment solutions, including PNR integration of booked segments, a standard set of DI-remarks that go into the back office and data hand offs for invoicing and reporting. The application enables multiple airport express service providers to be connected through one application and, presents only relevant content based on specific city and airport codes. The app currently offers agencies the ability to book Heathrow Express, Brisbane Airtrain and Skybus services, with more providers to follow. 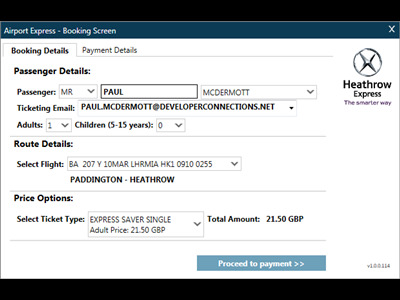 Using the Airport Express plugin for Travelport Smartpoint can help you boost revenue, save time and increase customer loyalty.